We arrive in Sovana, near Pitigliano, Tuscany's best volcanic wine area. The path to the Sassotondo cellar seems more difficult than expected. 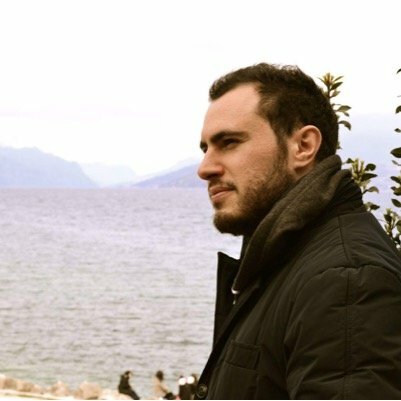 Luckily, Edoardo told us beforehand patiently the way, by phone. Even the GPS seems to get lost in this volcanic corner of the world. The entrance is beautiful and scenographic ... I would say very beautiful, yet simple. There is a large sign: Sassotondo. All around, perhaps with an intentional and subtle message, you see only stones. I then found out that the name of the company comes from a large round stone on which Edoardo's daughter used to play, as a child. As soon as we get out the car, a dog barks at us. You notice that he does it just for duty. It is clear that he's nice and welcoming. Edoardo calls him to the order and leads us straight into the underground cellar: a spectacular tufo cave. Here the temperature, in contrast to the outside heat, is perfect for refining the wines. It is impressive to observe and imagine - thanks to Edoardo's explanations - the geological effects that various eruptions have had along the walls of the cellar. 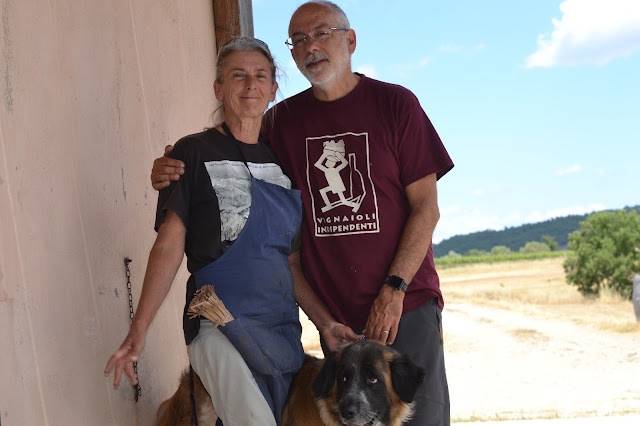 Edoardo Ventimiglia moved to Sovana in the 90s together with his wife, Carla Benini, an agronomist from Trentino. It was an important life choice for both of them. Carla was a business consultant while Edoardo followed the footsteps of his grandfather, Hitchcock's first cameraman, in Rome. 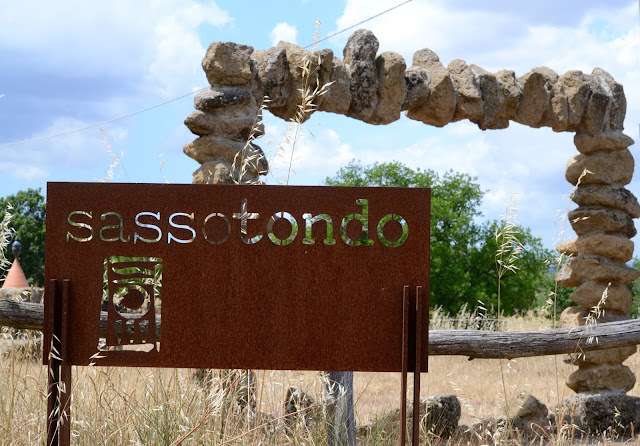 Their decision was to leave everything behind to start an exciting (and at that time still pioneering) wine project, what would then become the current Sassotondo winery and farm. 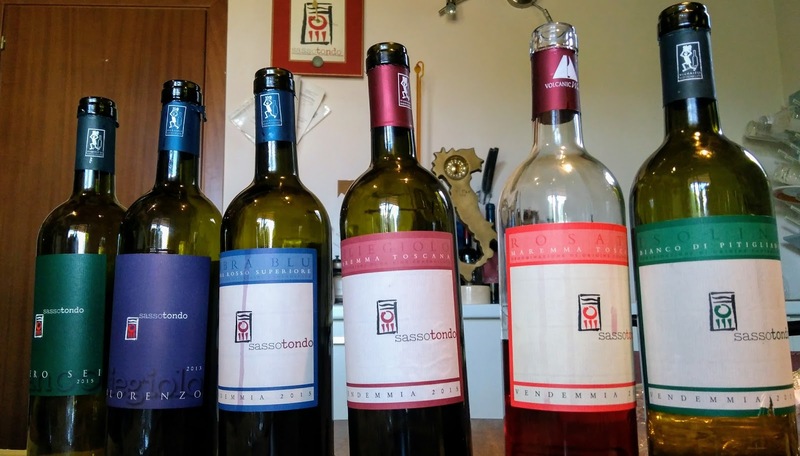 Thanks to the entrepreneurial tenacity of Carla and Edoardo, today we can appreciate Pitigliano wines (an appellation not always up to its potential) that best reflect this volcanic terroir. The original idea, since 1994, has been to produce top-quality organic wines and, since 2007, also following biodynamic principles. In a nutshell, the winery has the utmost respect for the environment with a small production from 12 hectares of vineyards. 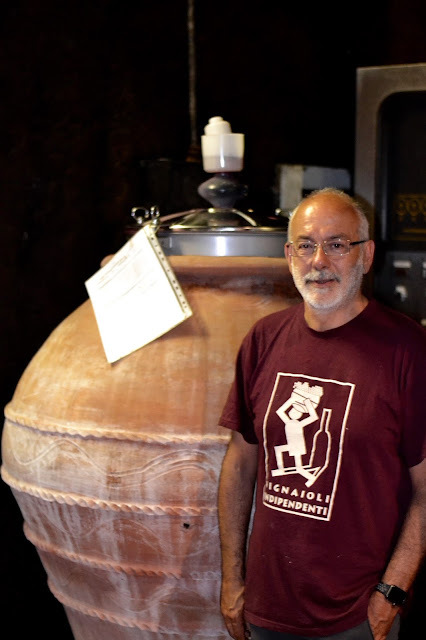 Authentic wines, made by independent vintners. Edoardo mainly deals with business activities of the winery. He told us about his recent experience at the Orange Wine Festival in Slovenia, during which his orange wine was a great success. Small wonder, given the high quality of the wines. 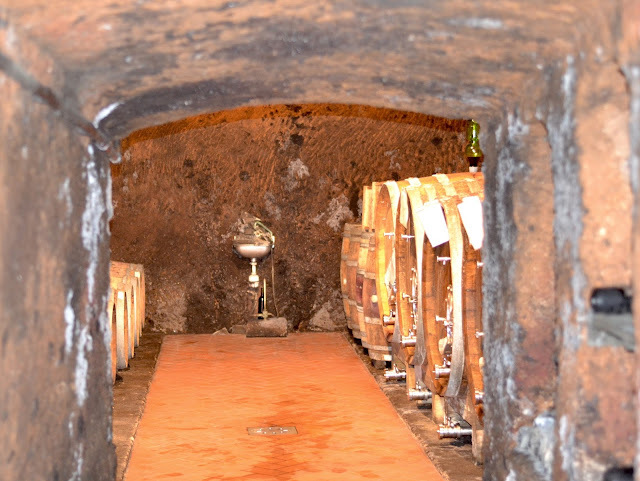 After the visit to the wine cellar - where we also see a great amphora to refine the Ciliegiolo - we head to the tasting room. 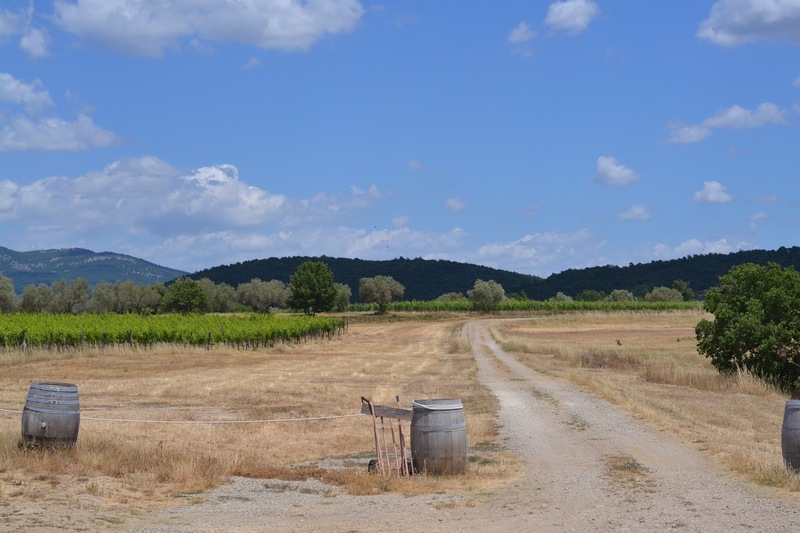 In my opinion, the wines of Sassotondo represent the perfect concise definition of the "vins du terroir". They feature high minerality, concentration and structure: characteristics that only a volcanic terroir can offer. Thanks to a production philosophy of "minimal intervention" - that is to say, attentive agronomic care in the vineyard, minimal winery interventions, marginal use of sulfur and strictly handmade harvest - the wines are truly unique. It rarely happens, as in this case, not to spit the wine during the tasting. Ciliegiolo has hints of cherry and plum, but also nuances of black berry fruits, such as blackberry. Smooth and fresh in the mouth, it's really a pleasant wine. The rosé, which has an excellent quality / price, stands out for its freshness and sapidity. The white Isolina -made up mostly of Trebbiano, with some Greco and Sauvignon - remains my favorite. Long persistence, mineral and complex, with notes of menthol, sage, yellow peach and citrus. Really excellent. After the tasting we meet Carla, who greets us warmly. She was in the fields. There is always work there. The activities that Carla and Edoardo carry with the support of the oenologist Attilio Pagli - a key figure in Tuscan enology - is really noteworthy. I therefore invite you to discover this volcanic gem of Pitigliano closely, where the human touch - to say it using Springsteen's words - really has high value and overtakes everything else. Only in this way will you be able to understand and appreciate the work behind these excellent wines. Get ready for your trip: it's worth it! Maybe - once you arrive in front of the great sign "Sassotondo" - listen to Springsteen's words reminding you of my tasting review of the Isolina 2016. Have a good trip and enjoy the tasting!